Alan Winde is promising to take the ANC head-on and wrestle control of the Western Cape’s police force and railway service. DA premier candidate Alan Winde (center) together with (from left) DA deputy provincial leader Albert Fritz, DA MPL Wendy Philander. On his right is DA youth provincial leader Carl Pophaim and mayor of the DA-run Drakenstein (Paarl) Municipality Conrad Poole. 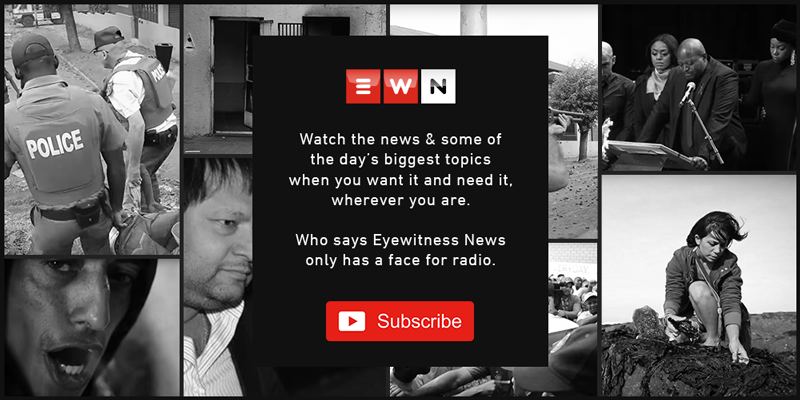 Picture: Jason Felix/EWN. CAPE TOWN - The Democratic Alliance (DA) has come out guns blazing in their quest to retain control of the Western Cape. The party’s premier candidate Alan Winde launched their Plan of Action Rally at the Bellville Velodrome today where he addressed thousands of party supporters in preparation of the 8 May general elections. Winde is promising to take the African National Congress head-on and wrestle control of the Western Cape’s police force and railway service. He promised to make housing scheme vouchers available for struggling families who want to build their own homes. For those who are looking for jobs, Winde promised free public transport. "We can unlock so much economic potential in this province. We can have abundant energy, but only if we take over electricity generation from the ANC. We can give every child a world-class education, but only if we protect our schools from the ANC. We can continue providing excellent healthcare, but only if we protect our hospitals from the ANC." Winde also promised to endeavour to spend taxpayer money responsibly.